Unfortunately I could only attend one day of last year's Nordicana Film Festival which was much to my regret as Nordicana had tons of films and TV previews that I was keen on seeing - but it was an absolutely superb day out nonetheless and in-between scoffing on delicious Nordic fair I finally got to see: Thomas Vinterberg's outstanding Mads Mikkelsen starrer The Hunt (Jagten), Daniel Espinosa's Easy Money (Snabba cash) with Joel Kinnaman and Tobias Lindholm's A Hijacking (Kapringen) again. There were loads of talks with stars from many of the acclaimed Nordic Noir TV shows but the lure of exploring the Farmiloe building and delicious snacks was too much. 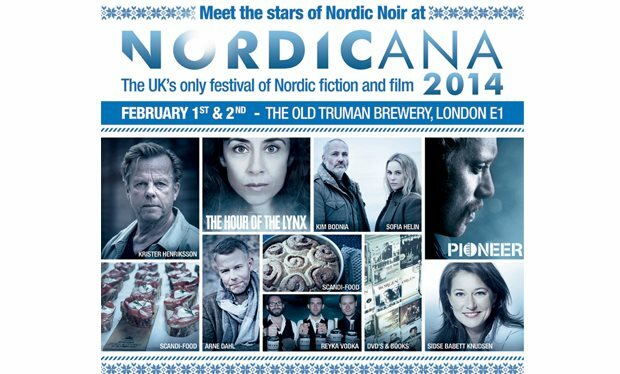 Nordicana 2014 running over February 1 and 2 has relocated to the functional Old Truman Brewery and is promising even more Nordic fare, film, television and events. A special UK preview of Pioneer (directed and part written by Erik Skjoldbjærg the man behind Christopher Nolan's Insomnia) followed a Q&A session with lead actor Aksel Hennie (Headhunters) by Oscar and BAFTA nominated editor of Gravity - Mark Sanger. An advanced UK preview of the tough Norwegian drama Northwest, based in Copenhagen’s most impoverished neighbourhood. And a particular favourite of mine The Bridge 2, Episode 9, as Actor Kim Bodnia is a living Cult Legend you may remember him for his flawless performances in amongst others Nicolas Winding Refn's outstanding early works; Pusher and Bleeder. The Danish and Swedish Embassies in London present The Bridge 2, Episode 9 – an advance preview followed by a Q&A with Sofia Helin & Kim Bodnia, hosted by broadcaster Suzi Perry. If you get the chance catch big screen re-screening of A Hijacking. If you enjoyed Tom Hanks as Captain Phillips put your big boy/girl pants on and watch this tense and gritty take on similar actual events as Somali pirates hijack a Danish tanker, told via the perspective of the ship's Chef. Hell even if you didn't see Captain Phillips check the A Hijacking out you won't be sorry. A screening of one of 2013′s most celebrated Nordic films, telling the true-life story of the hijacking of a Danish tanker by Somali pirates in the Indian Ocean. - Meet the stars of “THE BRIDGE” Sofia Helin and Kim Bodnia + watch the final 2 episodes ahead of transmission! - “BORGEN” Statsminister Sidse Babett Knudsen and Spin Doctor Pilou Asbæk also confirmed to attend + much more! Following the incredible success of last year’s event, Nordicana returns to London this February. A 2-day live celebration of Scandinavian crime & thriller fiction, film & TV as well as the broader cultural aspects that these popular genres encompass, including food, drink, fashion, furnishings. Nordicana will play host to the stars of the hugely popular Nordic TV series' and international best-selling authors, with panel discussions, signings, exclusive screenings, talks, retail stands, books, DVD and Blu-rays, food and drink and much, much more. The venue for this unique event will be The Old Truman Brewery in London. - BORGEN – cast & crew panel talk with lead stars Sidse Babett Knudsen, Pilou Asbæk, creator Adam Price, producer Camilla Hammerich and composer Halfan E hosted by Radio Times editor Ben Preston. - Plus authors Arne Dahl, David Hewson, Emma Kennedy, Barry Forshaw, Håkan Nesser- all confirmed to take part in discussions throughout the weekend. - ‘A great Scandilicious Cinnamon Bun-off’ hosted by Signe Johansen – author of Scandilicious – judged by Celebrity Masterchef winner Emma Kennedy and Great British Bake-off winner John Whaite. - ‘Eat Like a Scandi’ – Scandilicious’ Signe Johansen hosts a celebrity food expert panel to discuss the Nordic diet and palette and share some secrets of good Scandi cooking. - The Nordic Marketplace showcasing the best in Nordic design, furnishings and film. - Lots of tasty treats in our dedicated food hall from The Scandinavian Kitchen. - Live music and entertainment throughout the event. 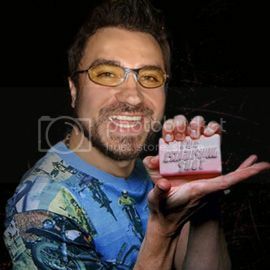 - All day Film and TV episode Screenings. - Nordicana nippers area with free kids entry to the event for under 16’s. 1 - 2 February 2014, Opening times: Saturday 1st – 10am to 8pm / Sunday 2nd – 10am to 5pm.